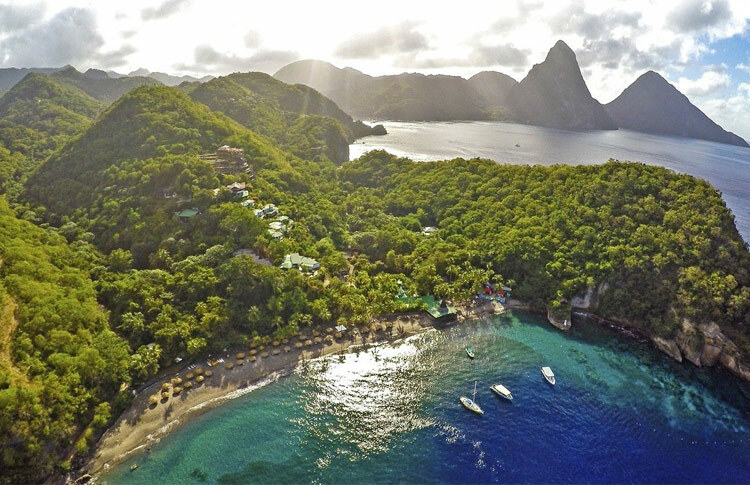 Anse Chastanet Resort - The location is unsurpassed, a private estate of 600 tropical acres bordering two soft, sandy Caribbean beaches. A getaway from it all philosophy means the rooms have no TV or radio. Instead you can relax and admire the spectacular scenery from your beachside or tree-house style room.